John was born in Rainhill in 1899 and in 1911 he was living at 10 Tasker Terrace with his parents David, a coal miner and Ann Jane. At present little is known about his wartime service except that he joined the Royal Engineers becoming part of the Training Reserve Battalion. He may not have seen overseas service. 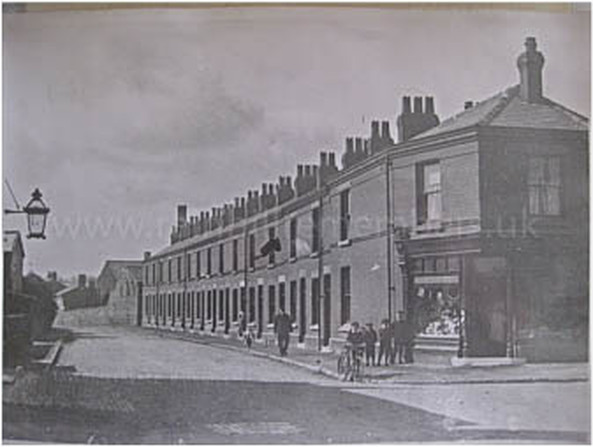 It is likely that John lived in one of these terrace houses on Tasker Terrace. This road used to be the main road across the railway. As a result of several accidents at the level crossing, the main road was diverted up to Warrington Road. This was known as New Road (now Rainhill Road).